Why do you not remember that drive? It is very common for someone to be driving, and start to daydream. This has happened to me before when I got home from a routine trip to the store, and when I got home I didn’t remember driving during most of the trip. This happens when I am familiar with my area and my mind starts to wander when I am driving. According to William Hampton, in 65,000 fatal crashes during 2010-2011, 62 percent were related to daydreaming. Daydream driving is very dangerous because you may think that you have control of what is going on around you, but it is almost like your body goes on auto-pilot. There is another article by Ron Claiborne that states that dozing off could be related to a term called micro-sleep. This is when you doze off without noticing you are dozing off. According to the same article, there was a study done on one particular individual who had stayed up for 32 consecutive hours and was driving down a road. He had a brain wave monitor hooked up to him, with observers in the car to see what he was doing. After the drive, they recorded that he had fell into micro-sleep 22 times, even though the driver only remembered dozing off twice. This term micro-sleep is caused by sleep deprivation. 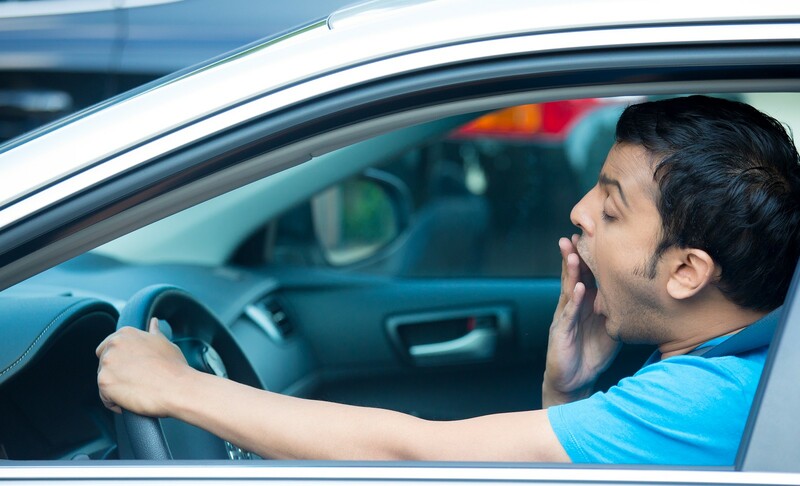 Micro-sleep is a very dangerous thing that anyone can go through without even knowing it, constantly dosing off and having your subconscious drive can be one of the most dangerous actions while driving. Both of these problems relate to each other because they put other drivers on the road in danger. There is a direct causation relationship for these ideas, because you have to be conscious when you are driving in order to be driving in a safe manner. Both daydream driving and micro-sleep driving prevents you from having full consciousness while driving, and makes you extremely vulnerable for a dangerous crash to occur. In the micro-sleep study, the individual stayed up and made himself sleep deprived, and tried to drive. This is a direct causal relationship because the sleep deprivation caused him to go into micro-sleep multiple times. We can rule out the reverse causal relationship because micro-sleep does not cause you to be tired. There is no third confounding variables because the only thing that causes micro-sleep is sleep deprivation. Lastly, chance could be an explanation for this study but it is highly unlikely because of the fact that he was sleep deprived, and that caused him to micro-sleep. The mechanism for this particular study is sleep deprivation, because sleep deprivation causes micro-sleep to occur. The putative causal variable is whether or not the sample is sleep deprived and the putative response variable is whether or not the sample goes through micro-sleep on their drive. In conclusion of this study, everyone should get a normal amount of sleep daily before driving, in order to prevent loss of consciousness at the wheel. This will help make the roads even more safe than they already are. Hampton, William. “Just How Dangerous Is Daydreaming While Driving?” Popular Mechanics. Popular Mechanics, 30 Jan. 2015. Web. 11 Sept. 2016. NOTEBOOK, REPORTER’S, and By Claiborne Ron. “‘In the Blink of an Eye’: Dozing While Driving.” ABC News. ABC News Network, 03 Dec. 2012. Web. 11 Sept. 2016. This entry was posted in Uncategorized on September 11, 2016 by Jack Regar. Your blog was so interesting to read because I’ve already read or responded to a few posts regarding the extreme dangers of texting and driving. So to find out that daydreaming and micro-sleep are more risks when getting into a vehicle, it is worrisome to think about. My friends and I have definitely experienced this “lapse” of driving where we do not remember the car ride. We of course let our imaginations run wild and blame it on possible alien abduction. Now from your blog about why I really cannot remember that drive, I know that it is more likely that our problem has been daydream driving. Like in class (only sometimes), a student can begin to lose focus and daydream about their day, whether realizing it or not, only to be snapped back to reality and unaware of how far in the lesson they had gone. To think of this happening while driving, it is scary that people may not “snap back” in time to avoid an accident. In this website I listed below, it discusses ways in which the driver can work away from daydreaming while driving: keep aware of your surroundings and if a co-pilot is present, have him or her help you stray away from your wandering imagination. Perhaps further questioning about the topic would be if we are more vulnerable to daydream driving or micro-sleep (besides when sleep deprived) at certain times (i.e. when hungry, stressed, emotional). I can completely relate to this post because there are times when I am driving, and I realize that I have not been paying attention for the last couple of minutes (whoops!!). Or there have been times when I go into autopilot and drive to my high school when I am trying to go to the grocery store because I was so used to taking that street for so many years. I actually found an article that texting while driving is less dangerous than daydreaming while driving due to the number fatalities per year: 62% daydreaming and only 12% texting. I will definitely be more careful in the future when it comes to staying alert while driving!